By now, you should already know why Blogging is important for your online business. As a matter of fact, I can probably say that your business is not going to make it in the long run if you don’t have a blog. However, for many, blogging may seem like a chore. This is especially true if you don’t really like to write. In order to be a successful blogger, you need to write content regularly. Some say, you should write every day. Well, that’s probably where most people have problems with. I have to admit, it is not easy to write everyday. Especially when you have a lot of other things to do in your daily life. Thankfully, we have WordPress. 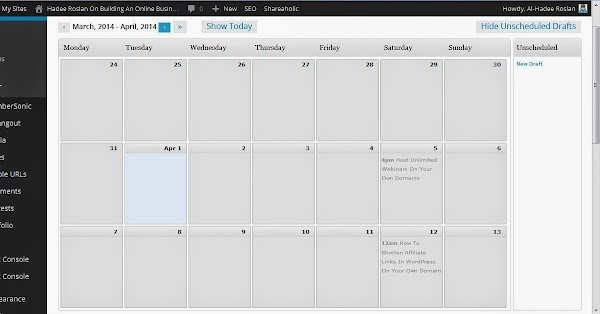 WordPress allows you to schedule your writings. In other words, you can schedule one day for writing. On that day, you write all the posts and schedule them to be published on specific dates. Lets say you set every Monday as your writing day. So, on Mondays, you write 5 or 7 posts, more if you are in the mood. Schedule these posts to be published for that particular week – one post per day. Your posts will then be published automatically everyday of the week. If you have integrated a mailing list autoresponder system into your site, your mailing list will also then receive your posts as scheduled. If you have been following KodeeXII.Net, you might have noticed that I don’t post regularly. In fact, there are months where I only write a single post. That certainly is not they way to become a successful blogger. I intend to change that. 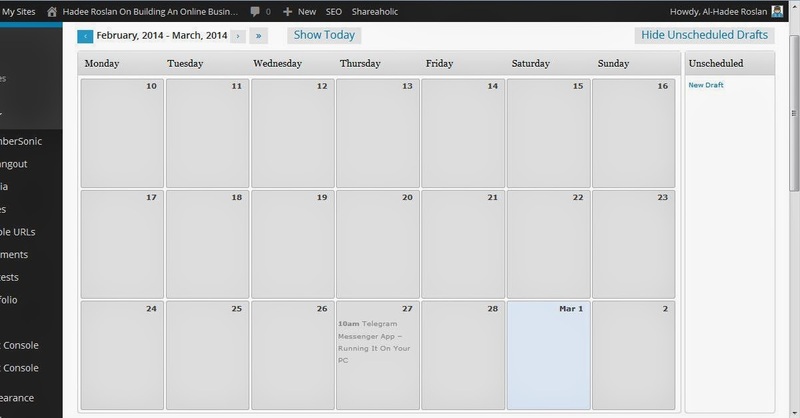 This was how my WordPress blog schedule looks like in the past. This is how it looks like at the moment. This is how it will look like in the coming weeks and hopefully continue into the future. Thanks to the Editorial Calendar Plugin. It certainly is an excellent plugin to have. It helps to schedule WordPress posts. As can be seen from the above image, I now have a number of posts scheduled in the future. I know, there are still a lot of days where I don’t have a post scheduled. That’s just a brief snapshot of what I plan to do. I will probably go back in and make some revisions here and there. Yes, we can already create future posts in WordPress even without this plugin. 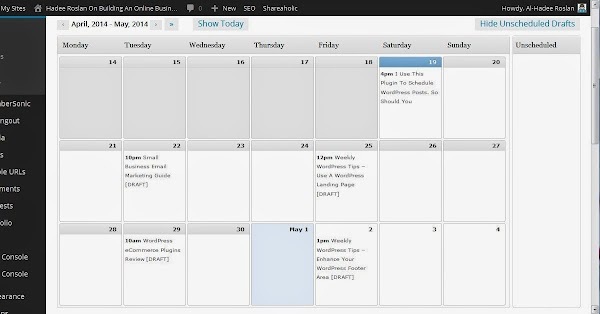 However, this plugin allows you to visualize your schedule in a format very familiar to everyone – a Calendar. The best thing about it.. it’s not going to cost you a single cent. It’s totally F.R.E.E! Are you using WordPress’ post scheduling feature? If not you really should. The Editorial Calendar plugin should be included as one of the must have plugin for all WordPress users. Do you have a list of must have WordPress plugins? Add this to it. Do you like this entry? If you do, why not click on the “Like” button below and share this with your FB friends.